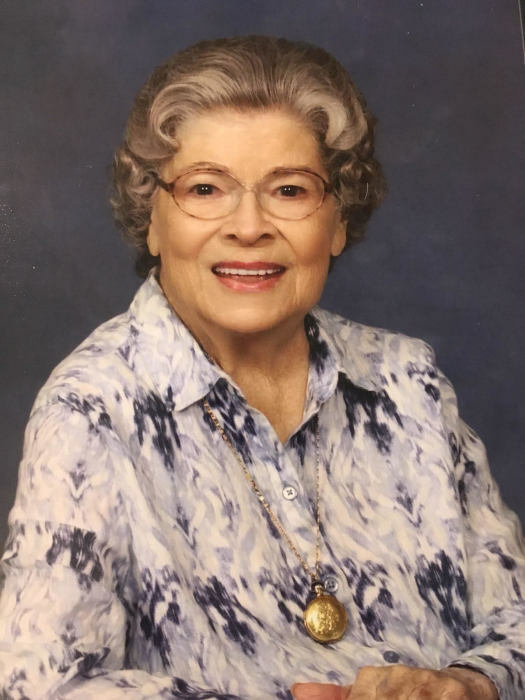 Mrs. Jo Hammond Bell of 1316 Patterson Street, Monroe, passed away November 27, 2018. A Memorial Service for Jo will be held 2:00 PM, November 30, 2018 at Central United Methodist 801 South Hayne Street, Monroe, NC, 28112. The family will receive friends beginning at 1:00 PM, prior to the service. Born on January 4, 1925 in Elberton, GA daughter of the late Charles Hanson Hammond and Vinnie Nickelson Hammond. She was a retired secretary for Love & Milliken, Attorneys and for Central United Methodist Church. A lifelong Methodist, she was a member of Central United Methodist where she was a charter member of Faith, Hope & Charity Circle. She taught Sunday School for many years and also volunteered at CUMC Union. Surviving are Julian, her husband of 74 years, a daughter Aileen Ray and her husband Steve of North Myrtle Beach, SC; sons Charles Bell & wife Beth of Charlotte, NC; Roger Bell & wife Debi of Clemmons, NC; Scott Bell & wife Beth of Winston-Salem, NC; and Mark Bell & wife Linda of Monroe, NC. She is also survived by 10 grandchildren, 7 great grandchildren, and several nieces and nephews.